Purchase 50 or more Dissectible Lumbar Vertebrae Models and download your free support pack worth £100. Purchase 200 or more Dissectible Lumbar Vertebrae Models and you can have personalised covers absolutely free! Two dissectible lumbar vertebrae with nerves. 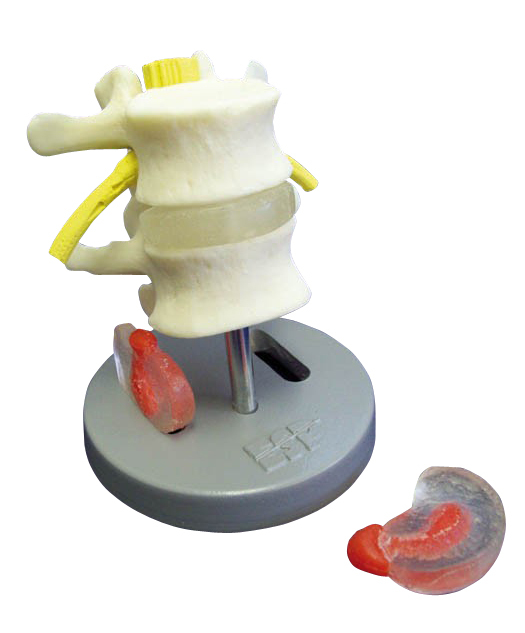 Supplied with three interchangeable discs, two herniated, one lateral, one dorsal and one normal disc. Mounted on stand but dissectible into 6 parts.